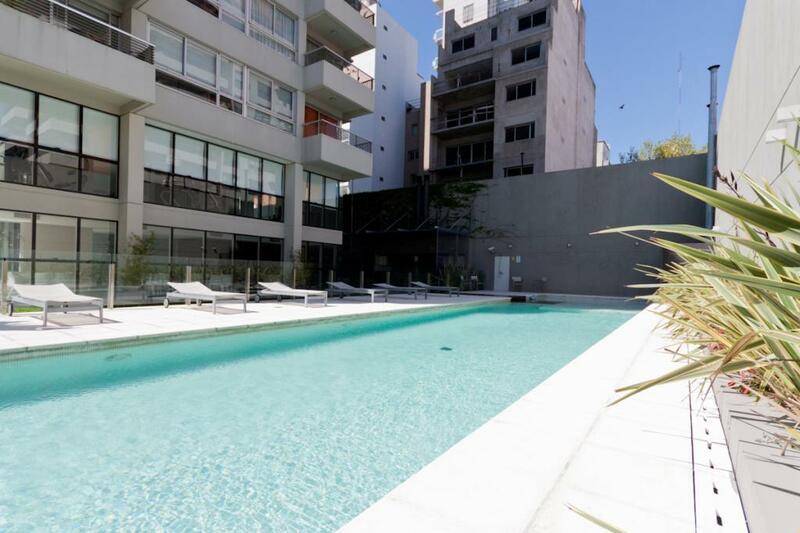 Excellent apartment, 2 bedroom en suite situated in a 5 star building with 24hs doorman, 90 sqm. Suitable for 4 people. Great location!! Building with amenities. Very nice balcony, 2 bedrooms, 2 full bathroom.Aircons in each room. Washing machine. Iron board. Landline phone for localls calls. Swimming pool for summer season. Gymnasium. Playground. Green garden. BBQ area. Party room. Laundry. Included: All the expenses are includen in the price. Observations: Damage Deposit is required which is refundable at the check out time less any damage to the apartment.